A great pic by George Irwin of the event at Sandkraal. Visit the Swellendam Heritage site over the next few days to see more of George’s pics from the excursion. 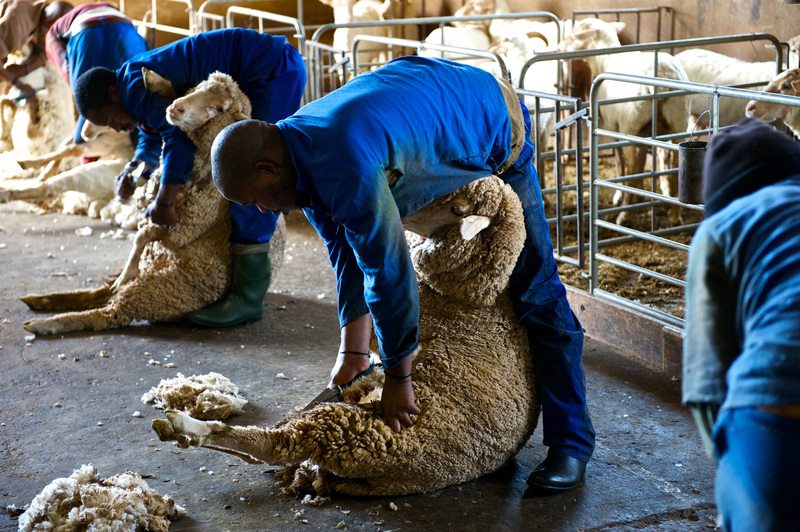 The Swellendam Heritage Association celebrated Swellendam’s historic link with wool by having a Sheep Shearing Day at Sandkraal, a farm just 10km from the original Rotterdam yard belonging to Magistrate Faure. A short talk on the history of the wool industry was followed by observing the shearing process, accompanied by an expert who delivered commentary and answered questions. The outing ended with the most delicious tea and snacks at the homestead.